Justin Bartha had his own way of researching the closed community of Hasidic jews for his new movie "Holy Rollers" -- he was blessed with extremely loud neighbors. "I lived above an Hasidic family for a couple of years in Los Angeles," Bartha tells PopcornBiz. "They had a wayward son and he was always fighting with the family. It would keep me up at night listening to them scream at each other." "That's where the initial idea of my character came from." Bartha began to develop his "Holy Rollers" character Yosef Zimmerman as a result. In the film opening in theaters tomorrow, Zimmerman has been outcast from his family with the exception of tense emotional standoffs standoff. His late night clubbing and his line of work -- smuggling Ecstasy pills from Europe -- has a lot to do with the family tension. 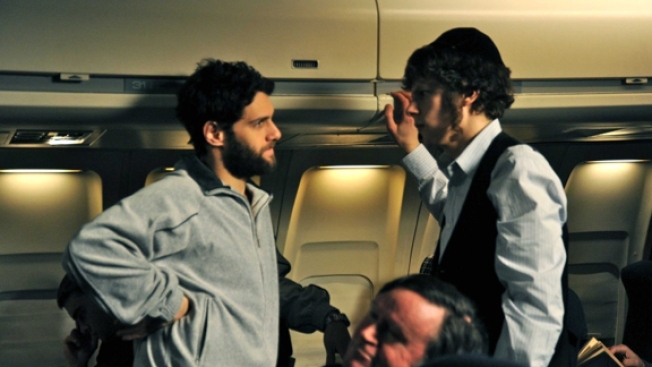 Last Night in NY: "Holy Rollers"
Bartha said he and co-star Jesse Eisenberg would travel to Hasidic-heavy sections of Brooklyn to observe, but they were never welcome to join or speak to people from this "very insular community." "They don't take a shine to anyone but their own," he says. "They don't enjoy mingling with us secular Jews." He also spoke to Orthodox Jews and "read a lot" to further his insight. But in terms of playing Yosef, he had the character goldmine living downstairs. 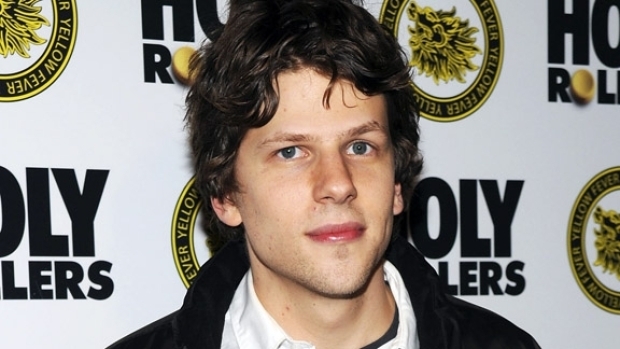 Actor Jesse Eisenberg, attending the New York premiere for his latest film "Holy Rollers" last night, said that just because he stars in the upcoming film about social networking phenomenon Facebook doesn't mean he's a user himself. "On the outside they seemed like this tight little family," Bartha says. "But behind closed doors, I would hear them constantly fighting and having problems with their son."